An elegantly simple unembellished gold leaf mirror with original mercury glass plate. 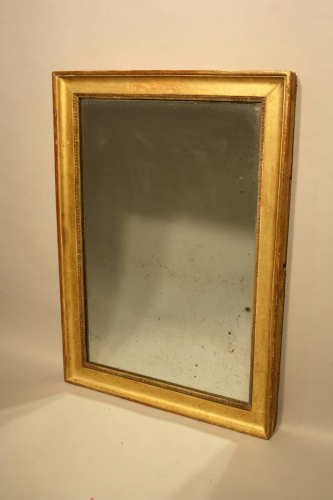 The frame is a lovely soft gold with a small decorative inner slip bordering the mirror. French C19th. Can be hung portrait or landscape. A classic design to suit all styles.